IT IS commendable that the Government College of Arts, Science and Commerce at Quepem has been ranked 53rd in the general stream college category according to the National Institutional Ranking Framework (NIRF). NIRF is the methodology adopted by the Ministry of Human Resource Development (MHRD), Government of India, to rank all institutions of higher education in India. There are separate rankings for different types of institutions depending on their areas of operation like universities and colleges, engineering institutions, management institutions, pharmacy institutions and architecture institutions. NIRF uses several parameters for ranking which are grouped into five clusters—(1) teaching, learning and resources; (2) research and professional practices; (3) graduation outcomes, (4) outreach and inclusivity; and (5) perception. Clusters are assigned certain weightages depending on the type of institution. THE performance of the Quepem college is entirely due to the dedicated efforts of the principal, Prof Bhaskar Nayak. Prof Nayak has never given up his interest in the college and continues as principal (a position he’s had for many years) despite holding the post of Director of Higher Education. 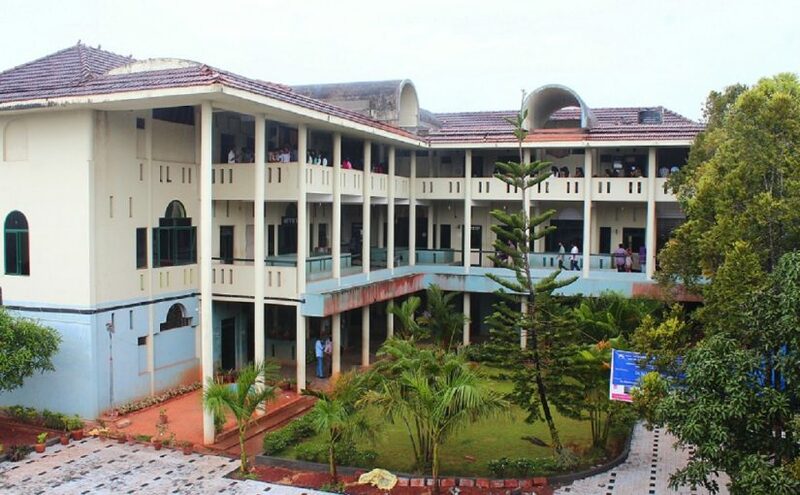 Significantly, both the government colleges in Goa in Quepem and Khandola have done better than most private colleges in the state with the exception of Dempe and, St Xaviers, in the north and Carmel and Rosary College in South Goa. It is really shameful but not surprising the Goa University has slipped from the 20th rank in 2016 to 64th in 2017. This is not surprising as Goa University is grossly under-staffed and totally mismanaged. It has too many faculties and too few teachers, with lecturers acting as heads of departments. The university is also marred by politics in the appointment of the vice chancellor and heads of departments. The research output of the university is pathetic. So are the post graduate results. It was revealed recently that less than 10 per cent of the students who had enrolled for post graduate science courses passed in the last academic year. The worst performance was in the Maths department. THIS was to be expected as the quality of maths and science teaching in Goa is very poor. This could be due to the sudden switch in the medium from the local languages like Konkani and Marathi to English in the 5th standard. But primarily if the results in maths and science subject have been consistently poor it is because the quality of teaching has been very bad at the primary and secondary levels. This is why a lot of students drop out from the 8th standard level onwards. The no-detention policy till the 9th standard has only made the situation worse. This year alone over a thousand students have been detained at the 9th standard level and not been permitted to take 10th standard board exam as they failed to secure the minimum marks required, particularly in science subjects. 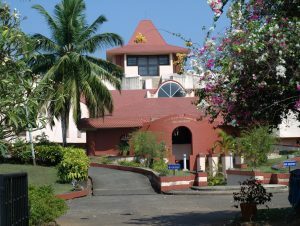 The government of Goa prides itself on the very high enrolment levels at the primary level. However the number of students who go on to complete their 10th standard is very low. The dropout rate is as high as 80 per cent if you consider the number of students who stay in schools from the 1st to the 10th standard. The dropout is the highest between the 5th standard and the 8th standard. It is particularly high in the coastal areas where there are alternate job options in the shacks and other tourism related industry. The harsh reality is that a number of dropouts also get sucked into the drug business often becoming drug addicts themselves. It is not just simple arithmetic which scares students. Maths at higher levels also involves subjects like algebra and geometry. Most students are unable to understand these aspects of maths as they are taught very badly. I must confess that I myself took a dislike for maths because of algebra and an insensitive teacher who used to hit me on my knuckles. As a result, in the 10th standard I managed to get only the minimum passing marks of 35 per cent in physics, chemistry and maths. That is when I decided to switch to arts subjects – history, economics and logic – in the higher secondary and got a first class in the bargain. Commerce is a very attractive option compared to arts or science in Goa because you can study commerce without having to study advanced maths. Commerce students have no problems with accounting which only involves arithmetic. If they had opted for science they would have to cope with algebra and geometry. PRATAM, an NGO set up to improve the standards of education in the country, has reported that Goan students in government schools are also weak in languages. Though Goa may have a very high rate of enrolment, the student-teacher ratio is very poor. In the case of government schools there is one teacher for all classes from the 1st to the 4th. The government has persisted in keeping Marathi schools alive for political reasons even though parents are more interested in English education. In fact even the poorest of the poor are forced to pay heavy fees to educate their children in English as only schools run by the church get grants for English medium primary schools. According to Pratam even 4th standard students are unable to write a full sentence which they should have been able to do at least in the 2nd standard. Similarly even 6th standard students had problems doing simple division. Science and maths can be fun if they are taught properly. The Goan government must tie up with Pratam and the science NGO run by Dr Vivek Monteiro, a Goenkar and a senior Communist Party of India (Marxist) (CPM) leader, whose real passion is making science teaching fun. Dr Monteiro has even helped to promote a company that makes simple instruments to make science teaching more participative. Telescopes made out of cardboard are used to teach students the romance of the stars. Dr Monteiro uses video games to teach students maths. An innovative approach that should become more popular because unless we train our students in maths and science we cannot become superpowers. Previous post: EATING IN BURMA IS DO-ABLE NOW!